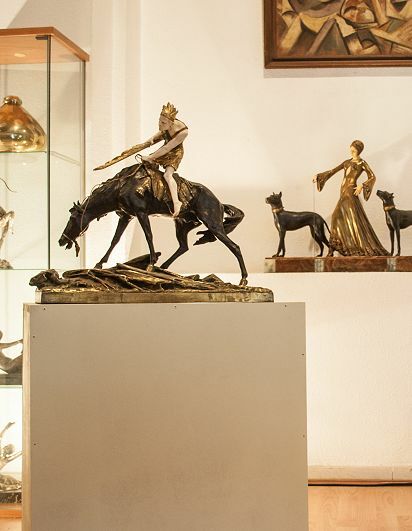 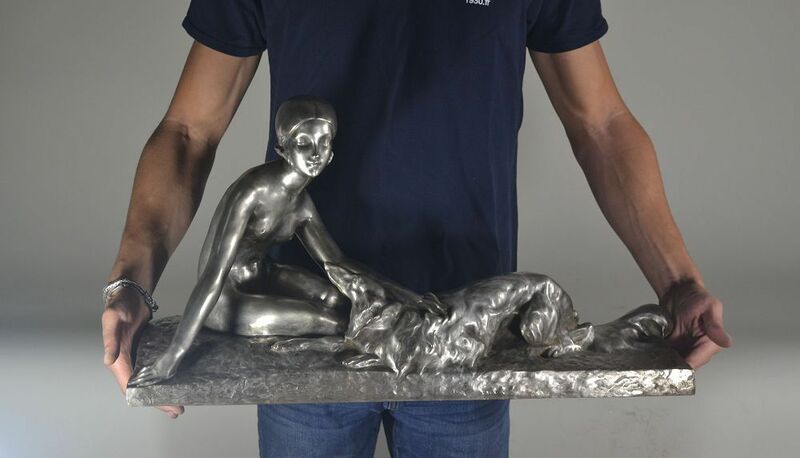 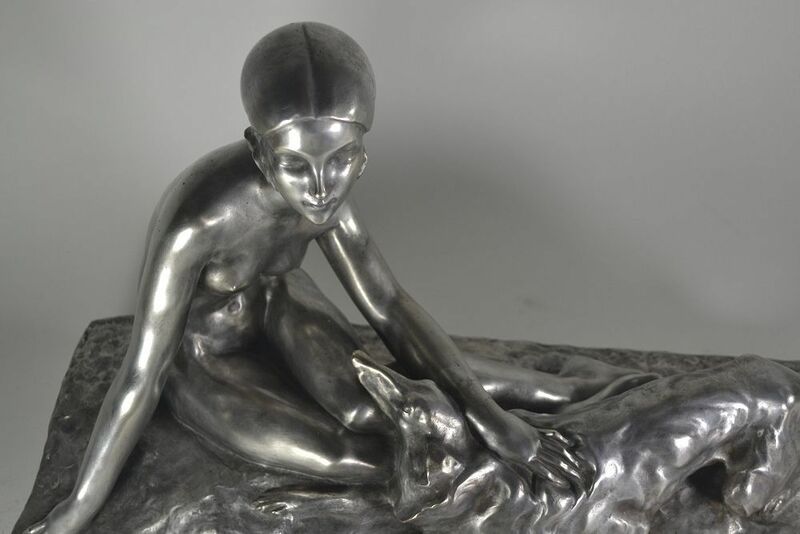 Impressive and elegant sculpture by french sculptor Georges Coste. 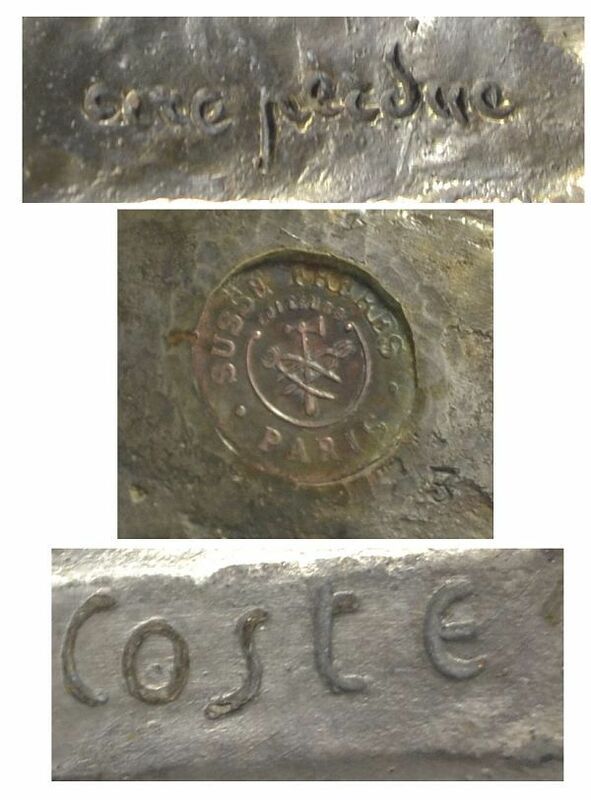 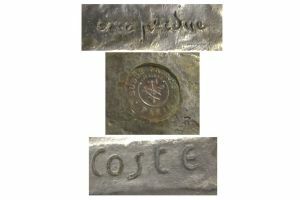 Marked "Cire Perdue" Signed "Coste" and foundry stamp "Susse Paris". 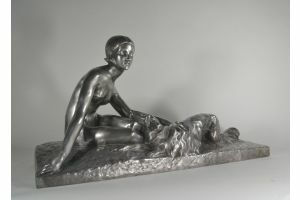 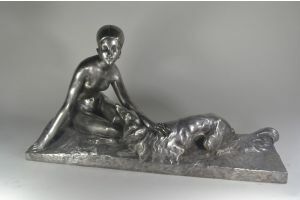 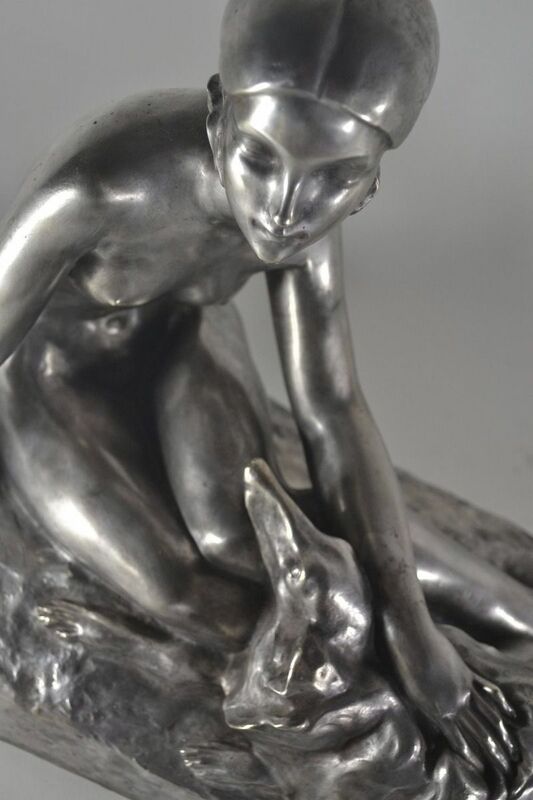 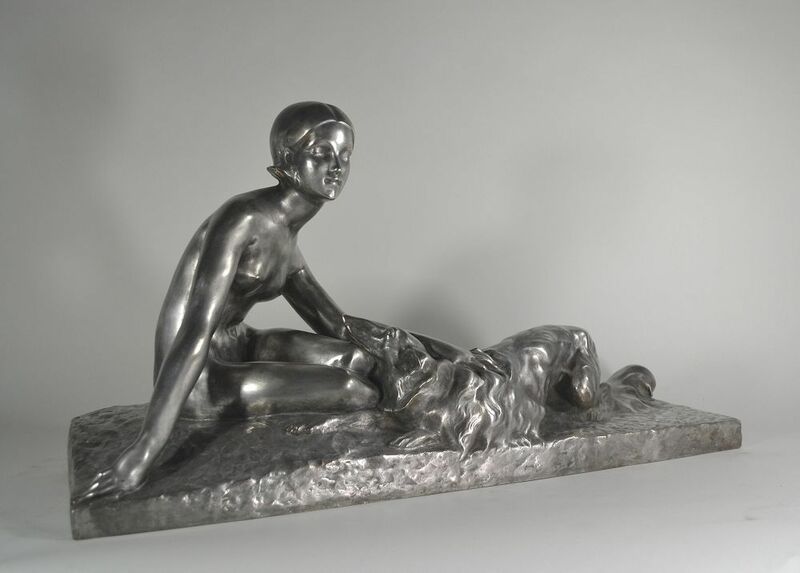 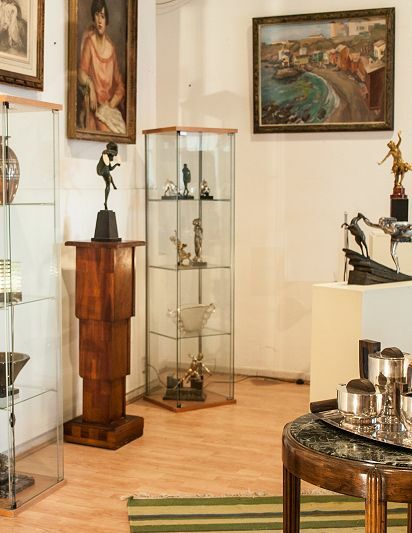 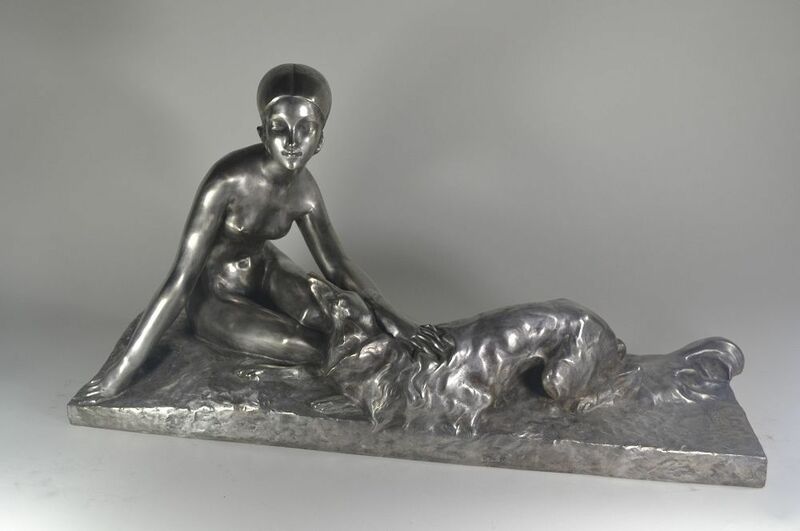 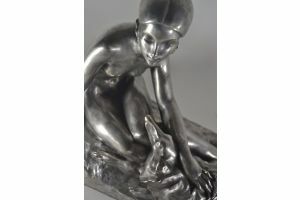 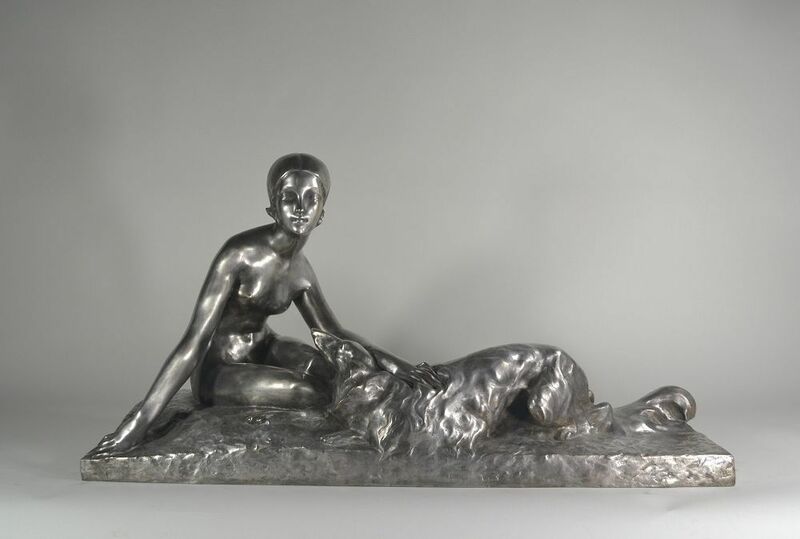 Georges Coste was an early 20th century french sculptor, who was born in Romans in the late 19th century. 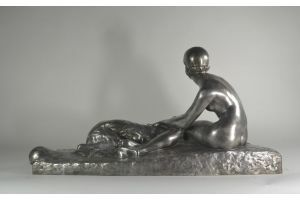 He was a student of Boucher and exhibited figures and busts at Le Salon des Artistes, and was a winner of a third class medal in 1925.